What's better than a birthday cake doughnut? 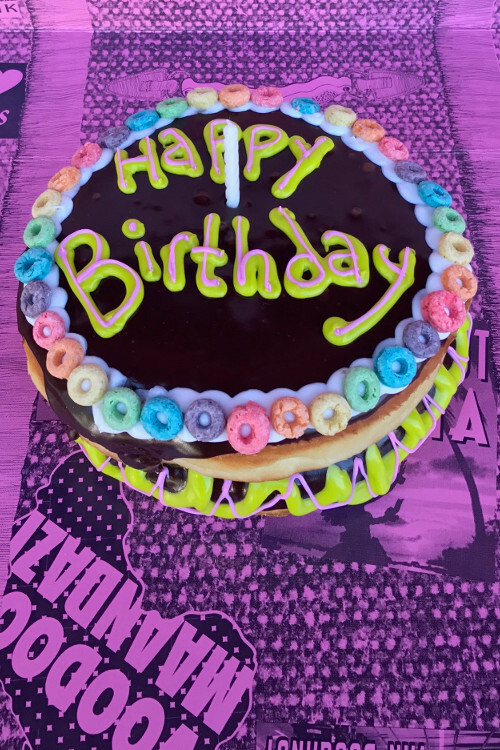 A Voodoo Doughnut cake! Made from 2 giant doughnuts, stacked high. Adorned with whatever available colors and toppings that your heart desires. 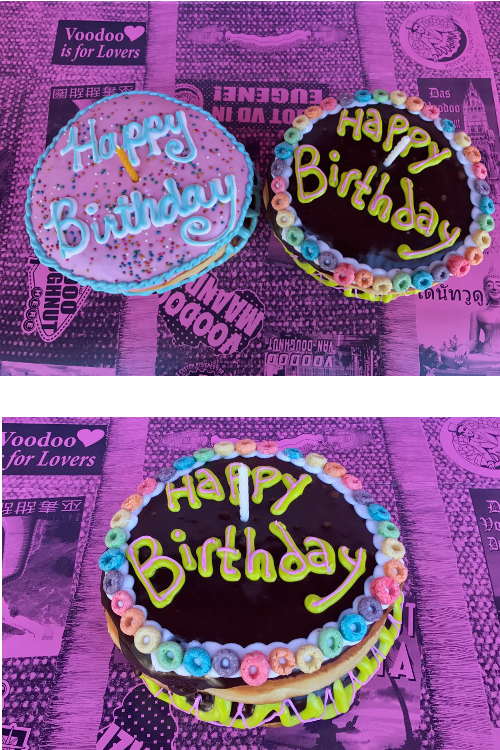 We can customize your doughnut cake with a personal message. Our doughnuts are unique custom creations made to order just for you, and will vary from those shown here. 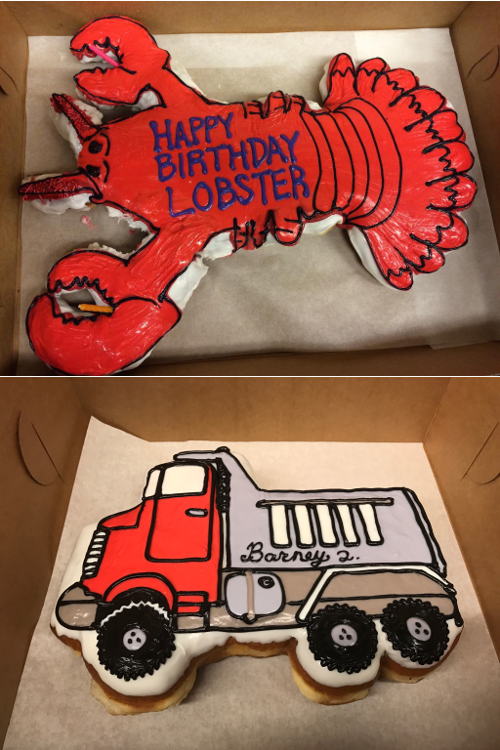 If a giant stacked doughnut cake is not what you are looking for, check out our other custom creations. 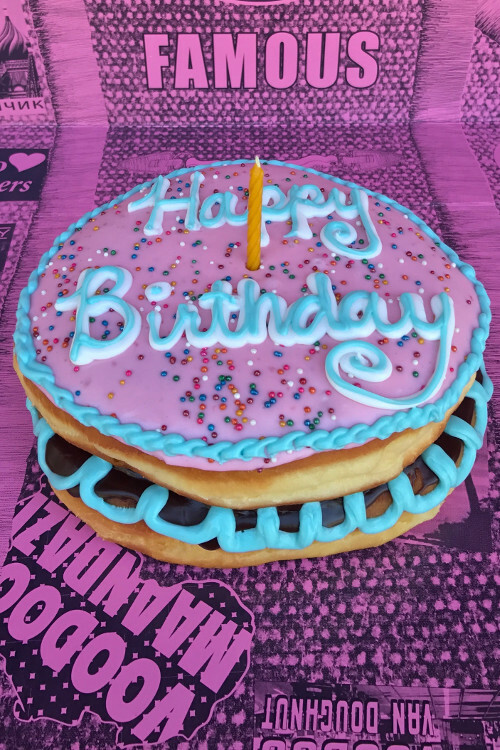 To order, start by selecting the local Voodoo Doughnut Shop where you’d like to pick up your Birthday Doughnut, then give us a call! Please note: We’ve discovered (the hard way) that shipping doughnuts damages their integrity. For that reason, after calling to place your order with us, we ask that you pick up your Traveler Pack at your nearest Voodoo Doughnut location. Don’t live near one of our shops? We have several Gift Certificate options that we can mail to you, so that you’ll be prepared for your next visit to Voodoo Doughnut!